IBM MQ provides proven, enterprise-grade messaging capabilities, such as point-to-point and publish/subscribe models, to facilitate the flow of information between applications. This service enables you to use IBM MQ as a managed offering. 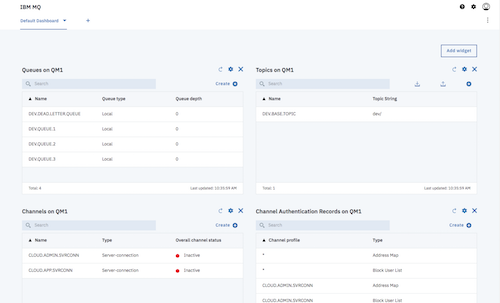 The IBM Cloud handles upgrades, patches, and many of the operational management tasks on your behalf, so you can focus on integrating MQ with your applications. 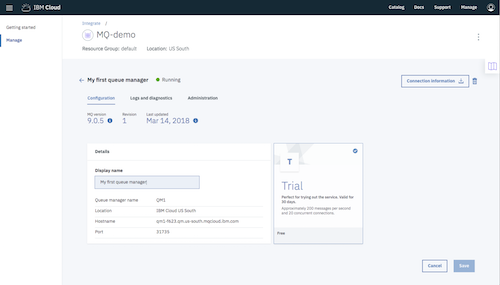 Connect new cloud-based apps to your core business systems by integrating with your existing on-prem MQ network. IBM MQ automatically provisions and manages the infrastructure and software deployment, taking on the day-to-day administrative and maintenance tasks and make updating, migrating, and patching effortless. 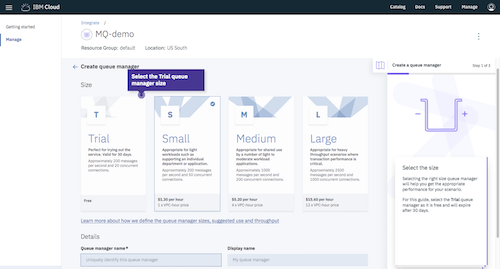 Create and use IBM MQ queue managers in minutes, enabling you to quickly connect new cloud applications using enterprise-grade messaging. 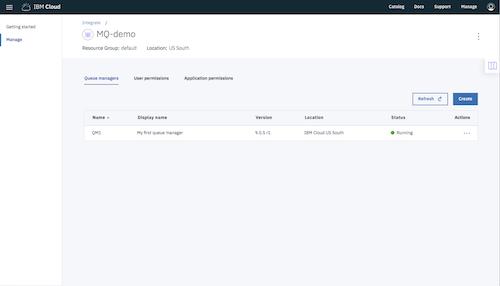 Manage your cloud-based queue managers with the tools you know and love - including MQ Explorer, the MQ Console, or via MQ Script Commands (MQSC).